Win a Soccer Pro Player Pack! Footy-Boots.com is giving away a free Soccer Pro Player Pack* worth £9.99 to the first ten people who request it on the Footy Boots Forum! Soccer Pro is a new match supplement which has been developed in response to the intensifying demands of the modern game. It claims to bolster the performance levels of professional footballers. Premiership stats for the 2006/7 season show that 151 goals were scored in the final ten minutes of the match, that’s over 16% of all goals scored. Footballers in 2007 are quicker, stronger and bigger than ever before. The top players are running close to 12km per match, so it’s hardly surprising they are getting so tired late in games. Muscle cramp and blips in concentration are signs of fatigue and often result in late goals. It’s not often that we here at Footy-Boots.com look to endorse a product, but after testing Soccer Pro ourselves we found it really improved our energy levels, especially in the final stages of our matches. Soccer Pro can be used shortly before kick-off or at half-time. Each sachet contains one match serving and the small, chewable tablets are fruit-flavoured and easy to eat. All the ingredients in Soccer Pro are totally natural and 100% safe for sports use. 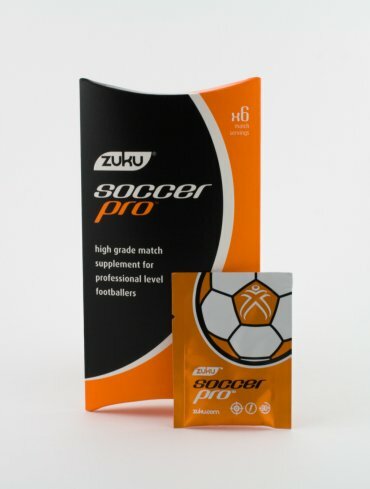 Although Zuku, the manufacturers of Soccer Pro, would not reveal the specific professional players using Soccer Pro, they are currently supplying a number of professional clubs and the product has been well received. For your chance to win a Soccer Pro Player Pack*, (containing six sachets – retail price £9.99) absolutely free, click here to go to the Footy Boots Forum now and make your request! *Competition only open to people resident in UK. Previous articleAdidas’ sales performance outshines German rivals Puma. I would also like some!! i would like a soccer pro player pack please.